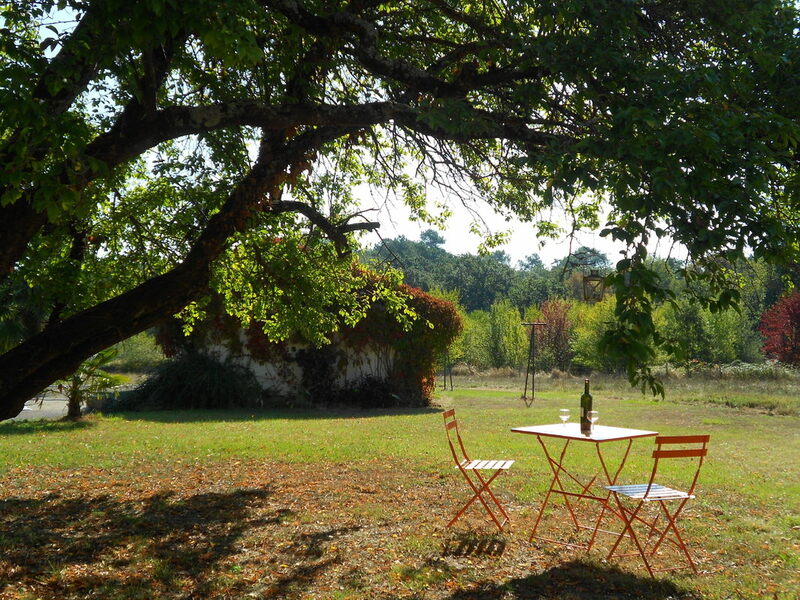 Stay with us at La Ferriere in the beautifully tranquil Dordogne. Take time for yourself - practice tai chi and chi kung or take a massage or just relax and enjoy! Come and join us at La Ferriere and spend time relaxing in 3 hectares of garden with its fruit trees, roses and rockery. After days out visiting historic chateau's, bastide towns or wine tasting take dip in the infinity pool. Sit on your terrace enjoying the local wine and watch the sun go down over the Dordogne valley. You can explore some of the local walks, canoe the vezere river or even join one of Helder's tai chi or chi kung classes if you want to do some gentle exercise in morning to get your day off to a great start. La Ferriere was originally owned by the Saint-Exupery dynasty of Chateau Tiregand with ancestors who were crusaders, musketeers, aviators and authors. Now the family still produce Parchment wines of distinction you can visit the Chateau just down the road. La Ferriere provided vital blacksmith services in the local area and you can still see the shoeing stone near the cottage and arrow slit windows in the cave. The property served the village of Saint Sauveur - you must visit the local bakery for croissants and the local church where you can see the tomb of the famous philosopher Maine de Biran. Come along and share in the history and combine it with a change of pace and the luxury of the present day..
Bergerac is just 8 kms from La Ferriere and there's no better way to spend a day than exploring the centuries old streets. Stop at a traditional french cafe for a glass of wine or a coffee try some french patisserie.. Perhaps a boat trip on the dordogne to slow down the pace or visit one of the Bastide towns offering rich heritage and wonderful architecture where very little has changed in 100's of years. Visit Chateau's and taste the local wines bring some back for diner. Local markets sell seasonal local produce for you to try at home too. "Le Petit Abre a Prunier " & "Cottage de fleurs de chaux"